Christmas is HERE! 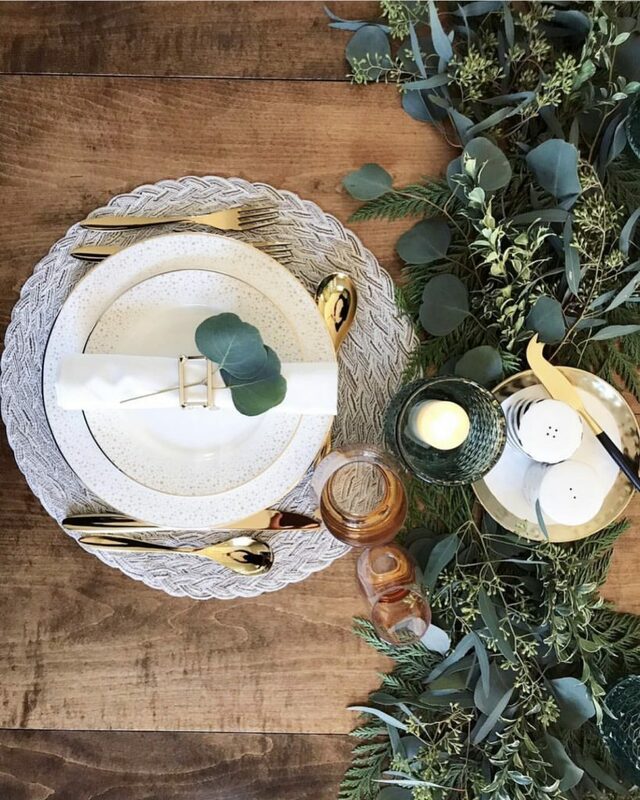 It’s time to set the TABLE and we have all the tablescaping decor inspiration to get your table FESTIVE ready! 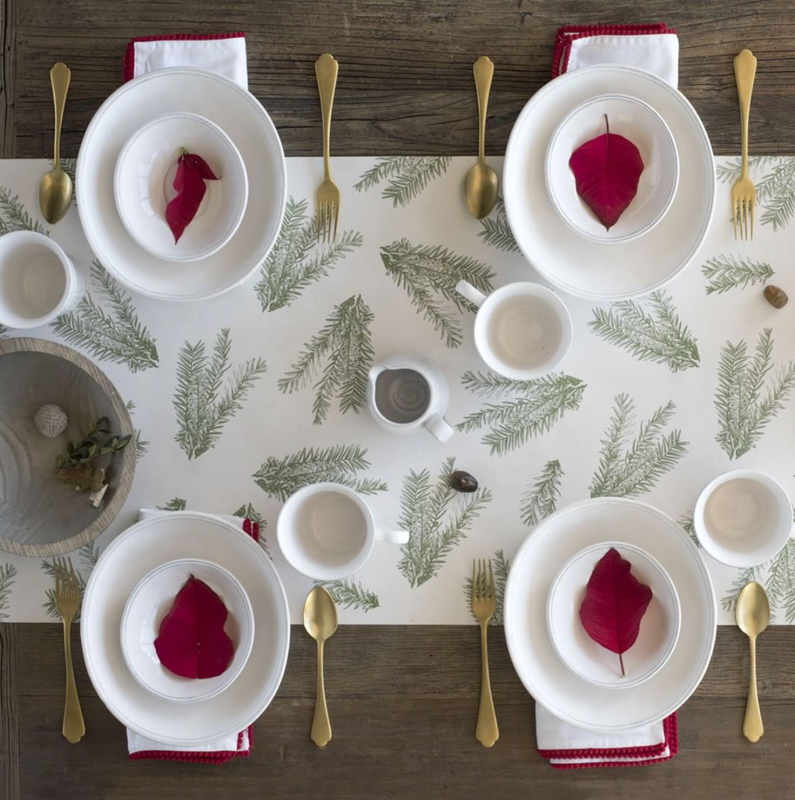 Our line of Hester & Cook paper placemats and runners are a super easy and fun way to add those beautiful Christmas touches to your table. 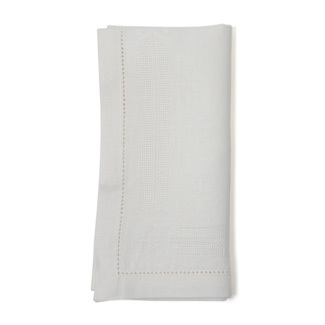 We love using the black and white table runner and layering our placemats and place settings over top. 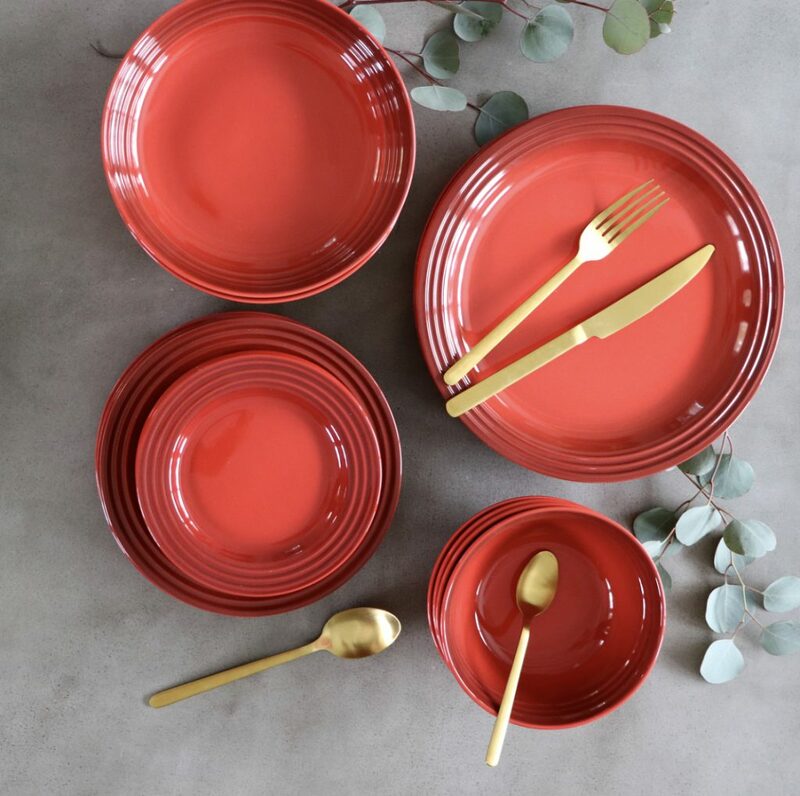 Seen here with our Le Creuset dinnerware. Not just for the kids table! 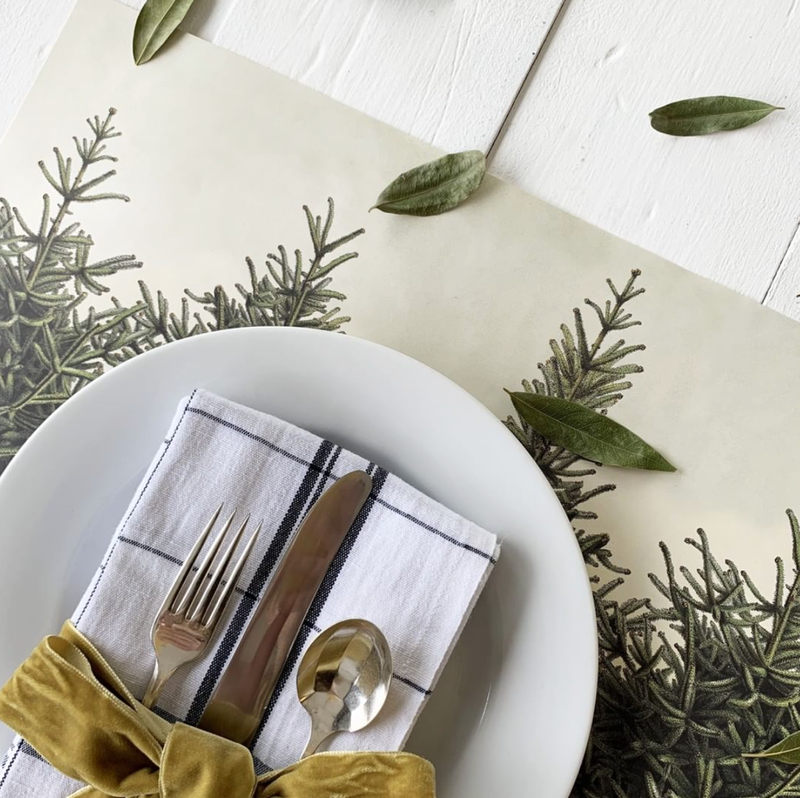 Add some FESTIVE FUN with our Christmas paper placemats. 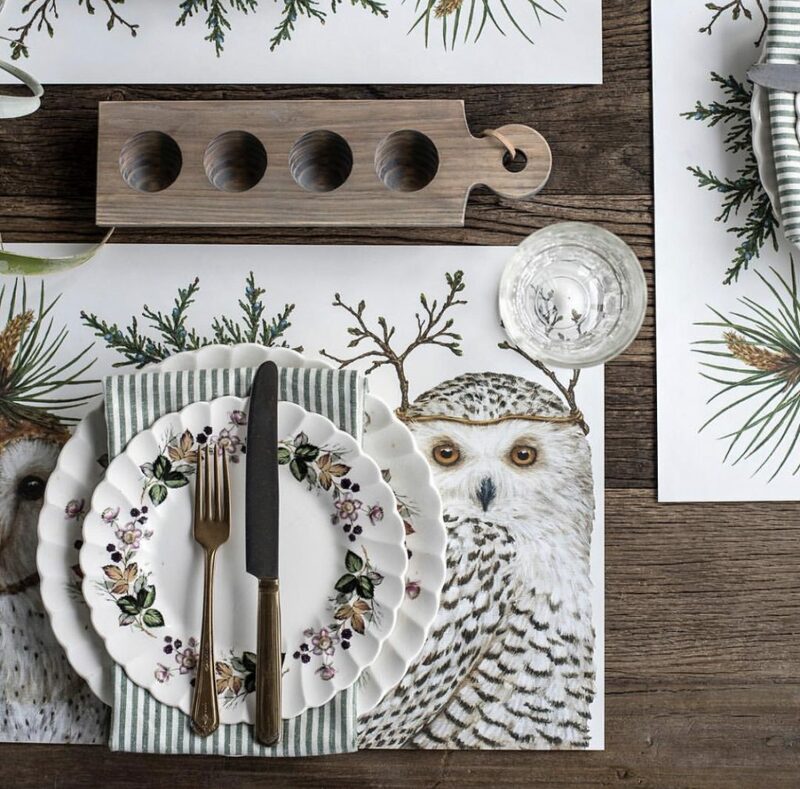 Beautiful designs that instantly dress your table! remaining stock will go FAST! 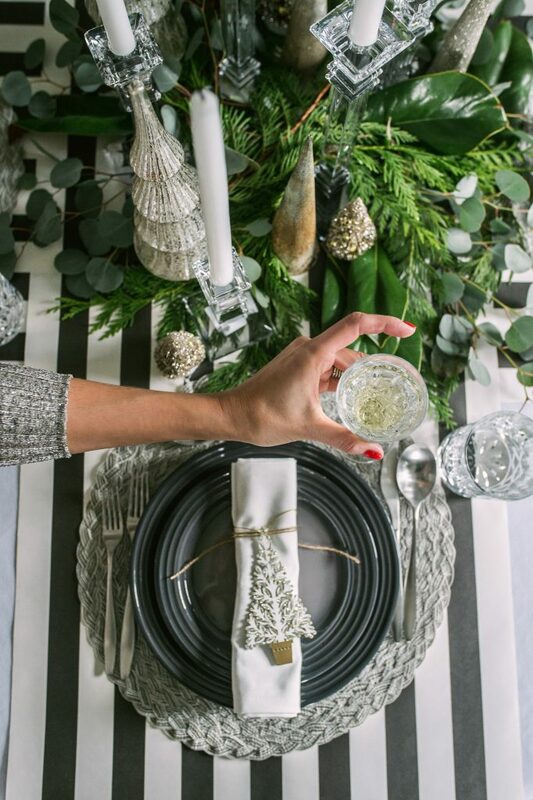 Adding some sparkle to your tabletop is always a beautiful way to make it feel festive. 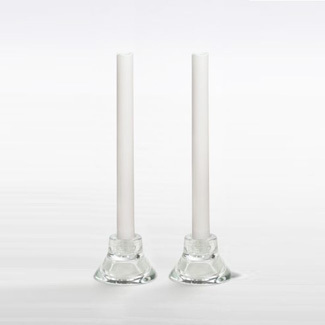 We love to add candles, crystal, Christmas decor, gorgeous fresh greens and of course champagne. 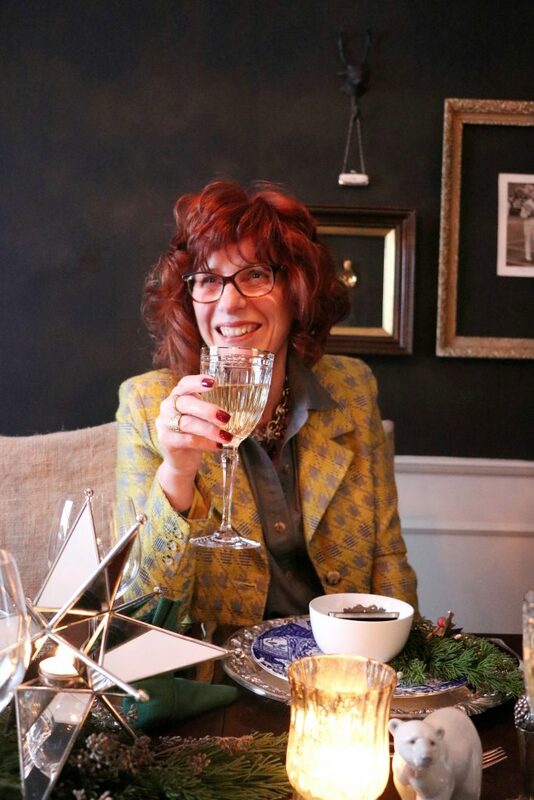 We always admire the way Bradshaws customer Jacqui Misner styles her old with the new. 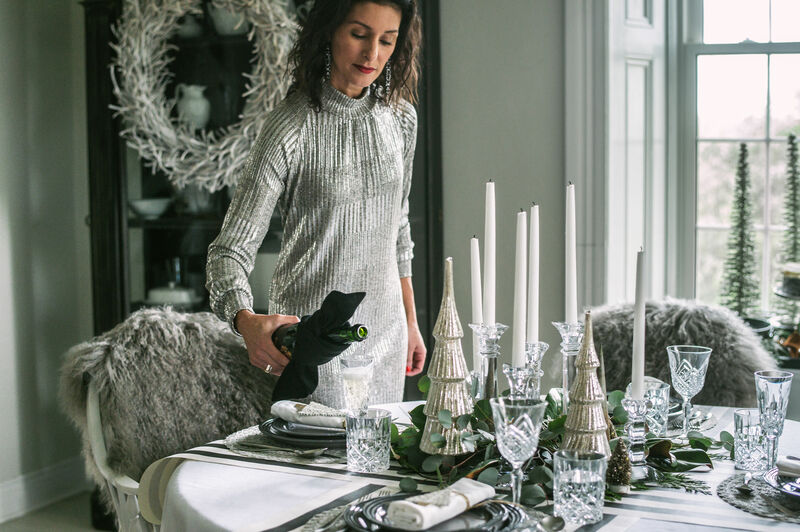 Crystal is having a very modern rebirth and we love the way Jacqui incorporates her timeless Waterford Crystal from Bradshaws in her holiday tablescapes. 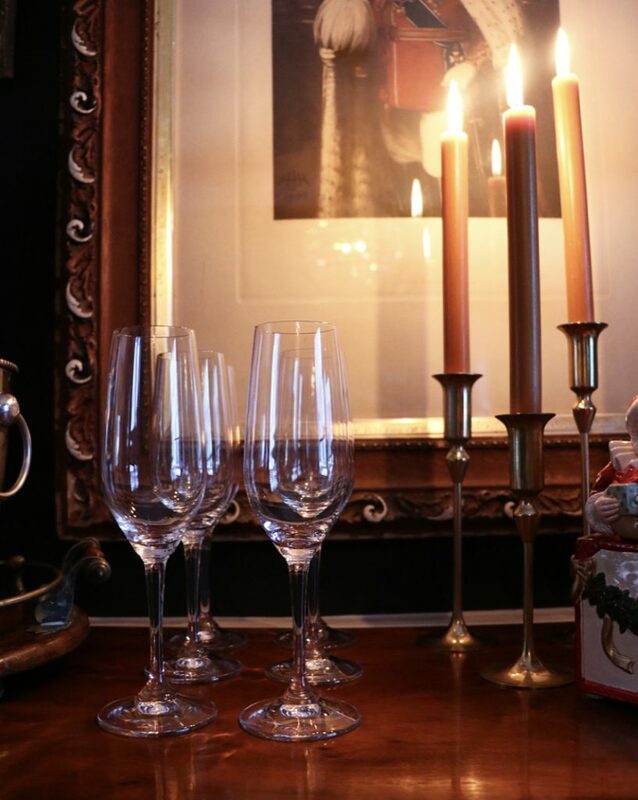 Our Reidel Crystal champagne glasses are a staple for toasting this time of year. 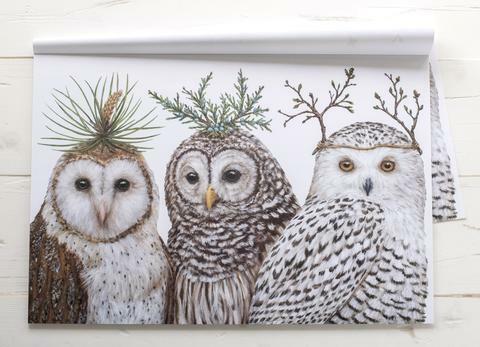 We love the way Jacqui displays hers on her sideboard bar set up. 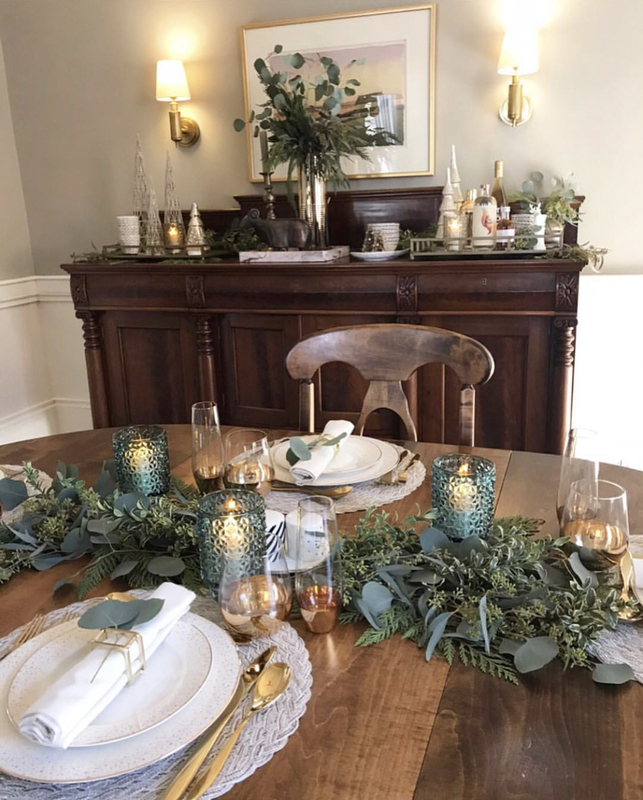 We recently styled a home for the holidays for the Yuletide Tour of Homes in Stratford featuring GOLD. 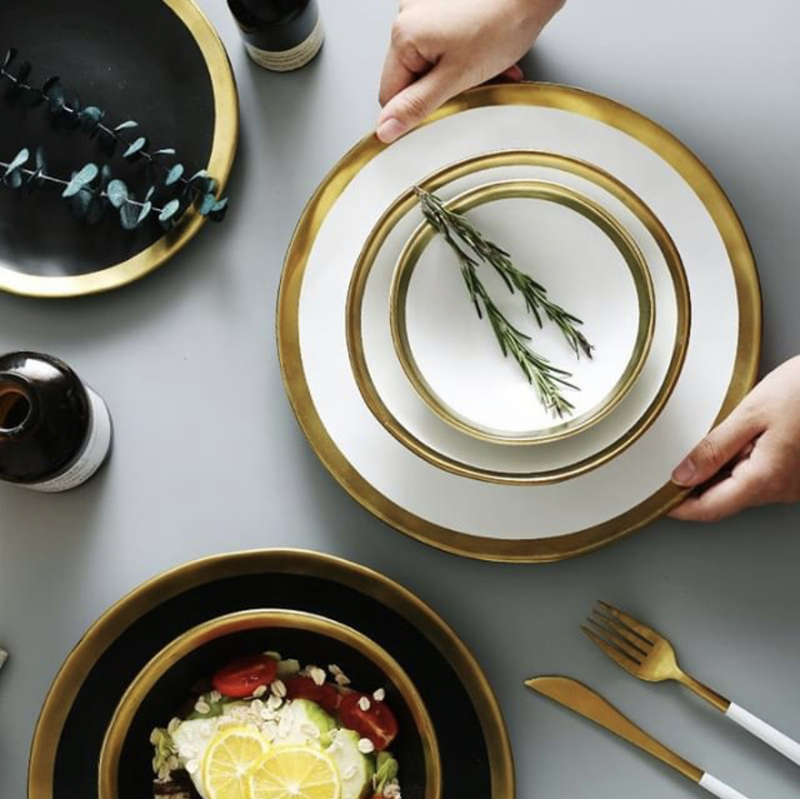 Our gorgeous gold bottomed wine and champagne glasses, beautiful jewel tone candles, gold trimmed plates and neutral coloured placemats for a modern, elegant tablescape. 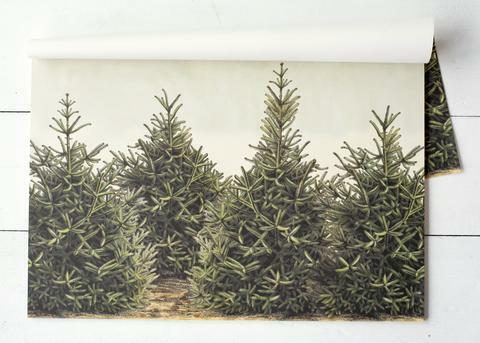 Perfectly festive. 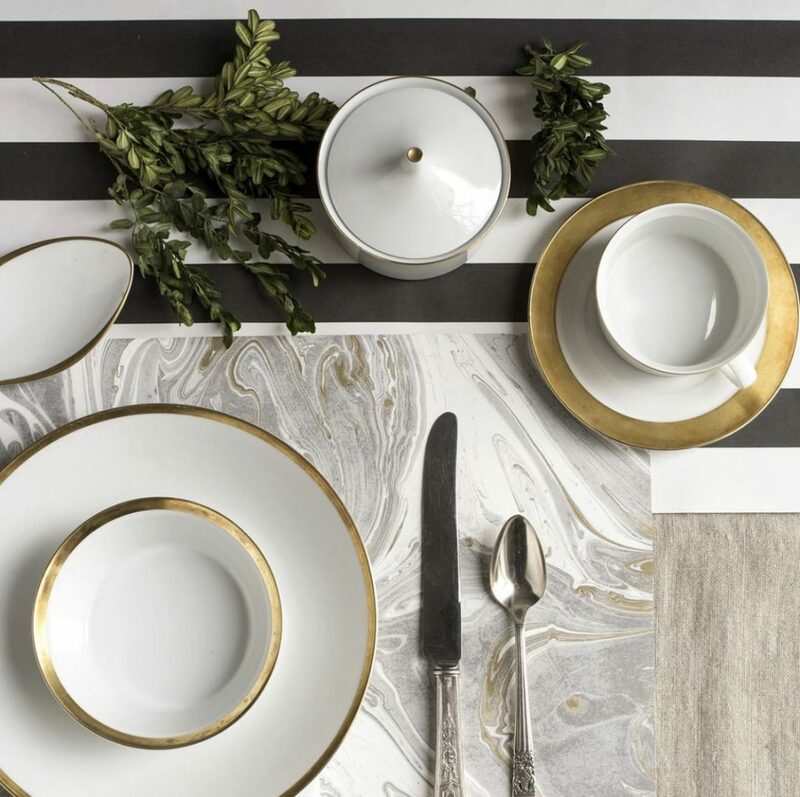 See all our gold accented pieces in our kitchen and servingware department. 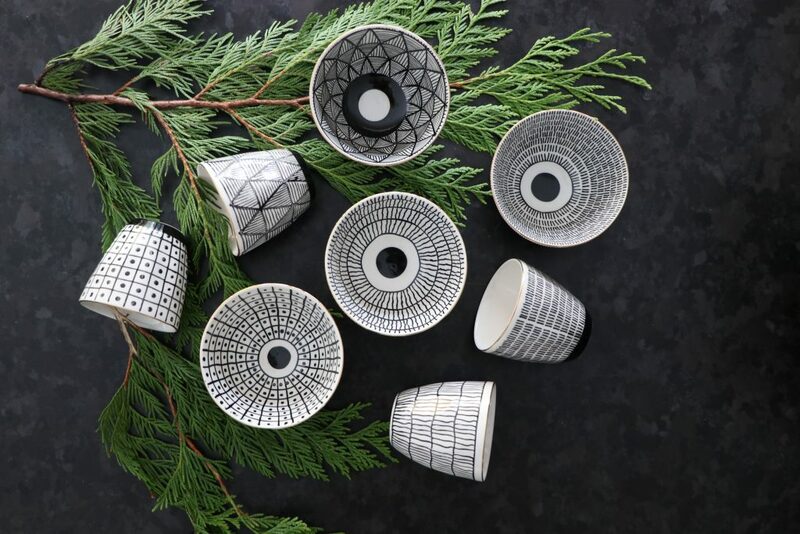 Add some modern touches to your tablescape with our collection of black + white bowls, and sleek handless mugs. 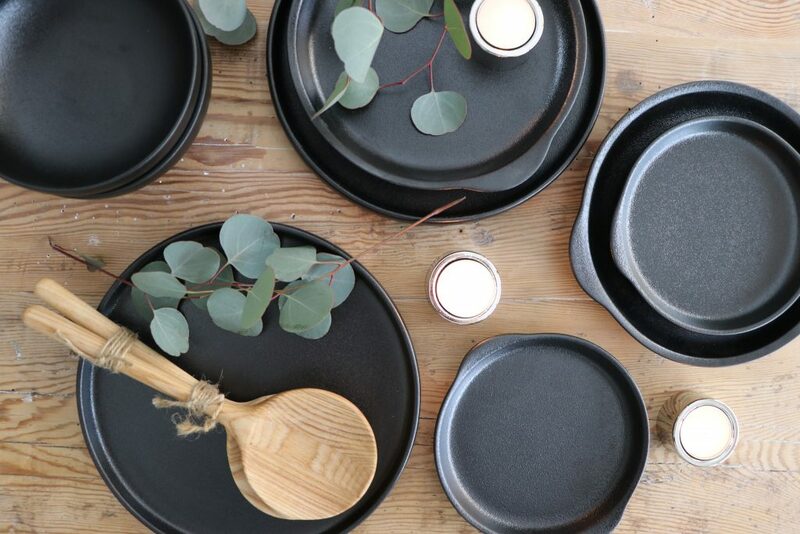 Trending in home decor and interior styling is modern black plates and we are loving our Maxwell and Williams Collection. 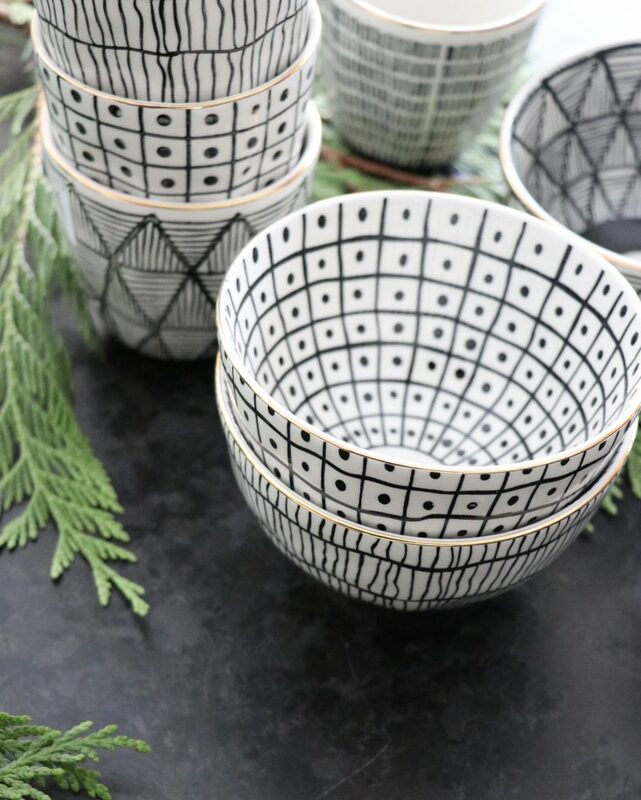 Update your tablescape with black! 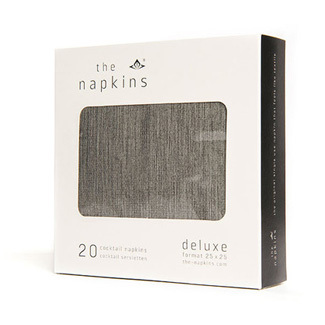 Perfect gift for the interior style lover on your list. 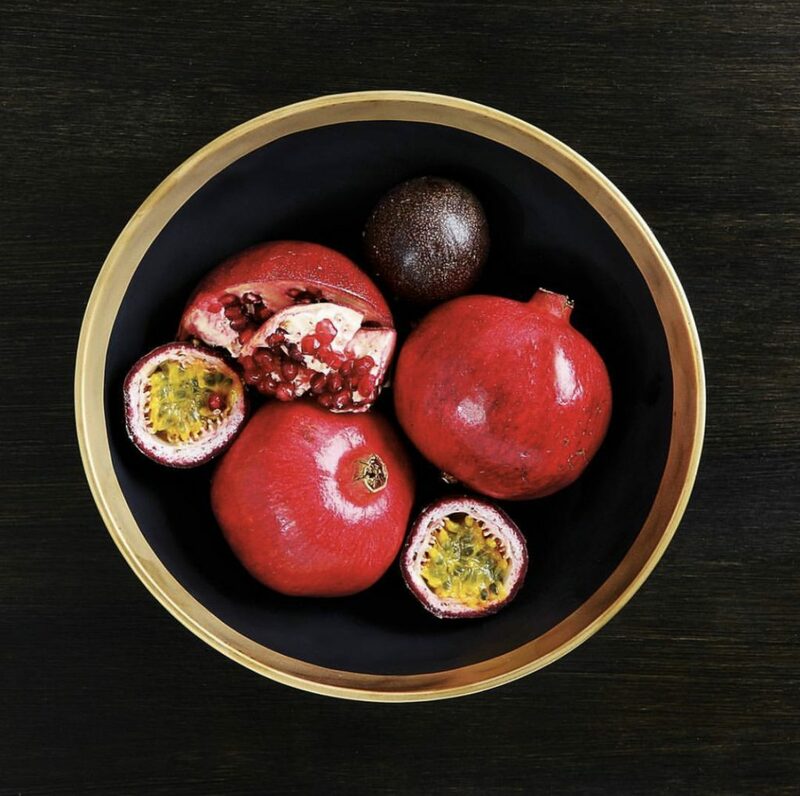 Making spirits BRIGHT with our cerise coloured Le Creuset dinnerware! 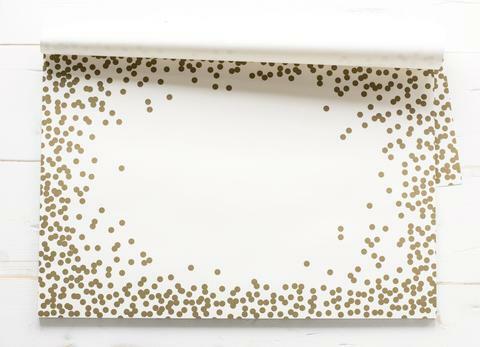 Stunning tabletop statement! 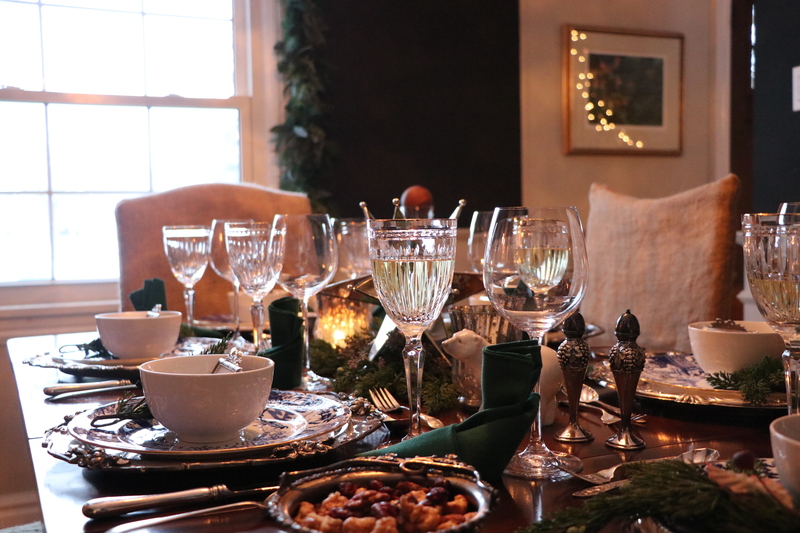 Whatever your tablescape style this season we raise our glass to you our valued customers! Thank you for following along on our blogs we love hearing your feedback. 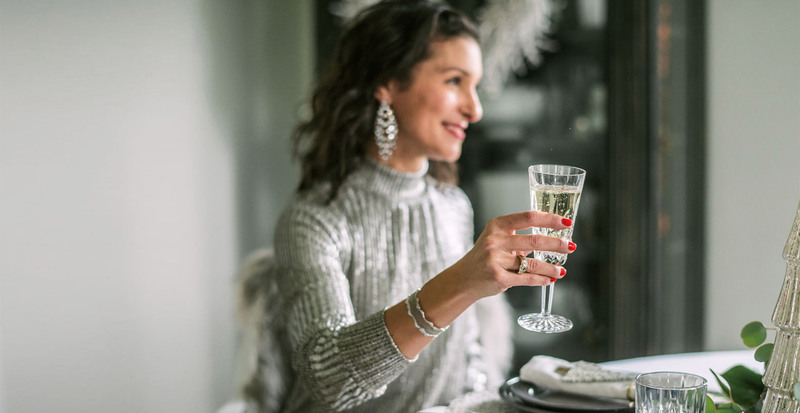 Cheers to the Christmas Season! 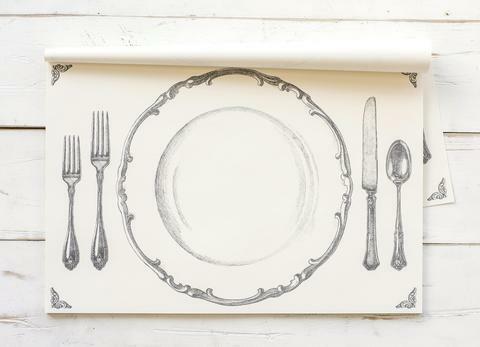 We have ALL your Tablescaping needs at Bradshaws. 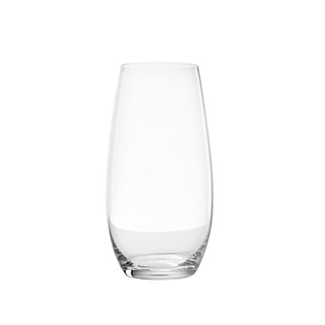 Candles, napkins, glassware and more!